Perioperative Medicine for the Junior Clinician is the first easy-to-read resource, featuring a digital component, on how to manage a diverse range of patients in the perioperative period, providing up-to-date practical knowledge and advice from a broad range of medical specialists caring for surgical patients. 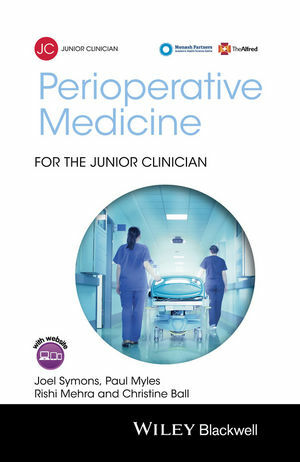 Perioperative Medicine for the Junior Clinician provides a guide to perioperative care, covering principles and practices of care; risk assessment; laboratory investigations; medication management; specific medical conditions and complications; postoperative care and pain management. It also features bite-size videos explaining the key concepts, as well as case studies, investigations and quizzes. Ideal for final year medical students and junior clinicians, this digital and print resource will be an invaluable tool when working in this multidisciplinary, team-based specialty.